"This is the book I wish I'd had when I was at school." 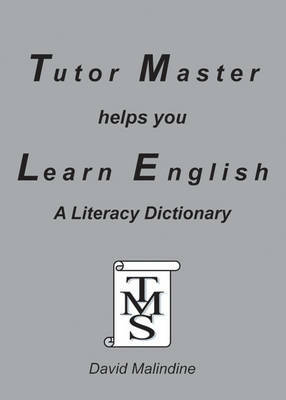 This was the opinion of one person on seeing "Tutor Master helps you Learn English". "I wish I'd had this book when I was studying at university", was another similar view expressed. Whether a school, college, university or a parent wishing to further your own knowledge of English and support your child's studies, the generic qualities of this book make it suitable for all those seeking to improve their understanding of the English language and literacy. Written primarily for students studying for qualifications in English, this book is also appropriate for students studying English as a foreign language (EFL). 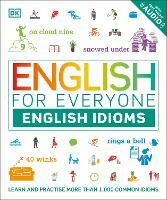 The book contains 550 key words and terms to do with the English language and literacy. Words and terms are listed in alphabetical order with phonic cues to assist pronunciation. Short, accessible and easy to understand definitions are provided accompanied by helpful examples. A useful technique to make the book easy to use is that words that appear underlined in the definitions are listed elsewhere in the book. By providing a quick and handy reference book for students of all ages, this dictionary promotes personalised learning and independent study. It will also provide a source of reference for teachers and lecturers as well as supporting teaching and learning in language schools and TEFL colleges. So if you want to find out about, or confirm, your understanding of "Past Participle", "Split Infinitive", "Onomatopoeia", "Zeugma", "Hyperbole", "Metonym" or "Pronoun", this is where you need to look! David Malindine, BA(Hons), PGCE, MA(London), Adv.Dip.Ed. (Open)RSA Cert., has worked as a teacher in schools for 20 years and now works as a Private Tutor, Educational Consultant and writer/publisher of educational books and material.